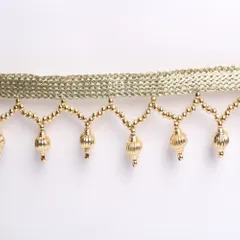 Can be used for: Special occasions, Party, Weddings, Casual feel, Retro designs, Home furnishings, Arts and Crafts, DIY projects,Multi Usetype product. 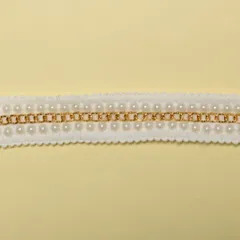 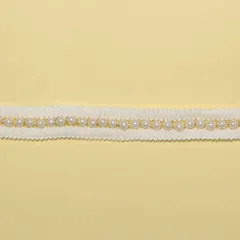 StylingIdeas: On an exclusive toddler’s dress or a teen’s shift, on the hem of a box pleat mini or your sailor pants inspired outfit, even on the edges of a saree but the best option being the rims of an elite designer dupatta, gilding up your home furnishings or decorating the surface of your customised special accessories these laces have cuteness yet style embodied to infinity. 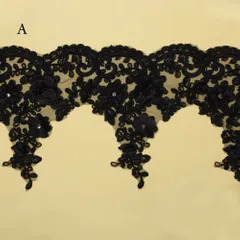 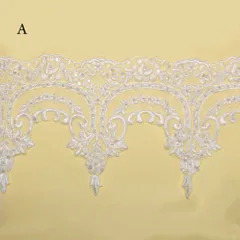 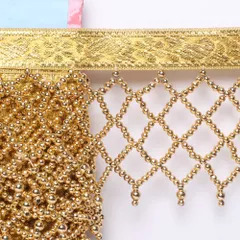 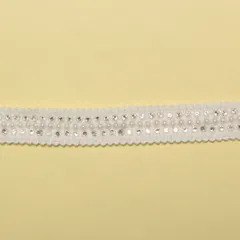 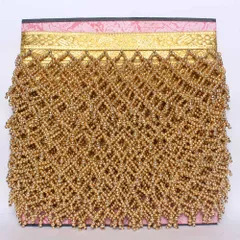 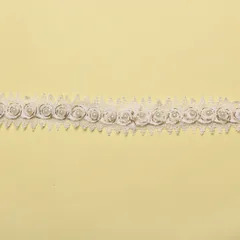 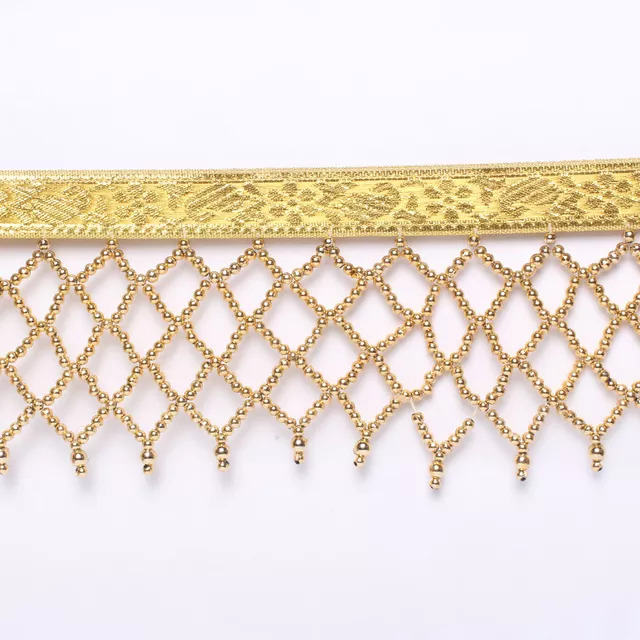 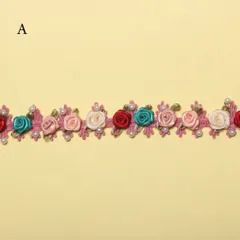 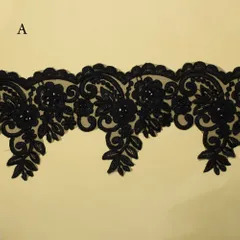 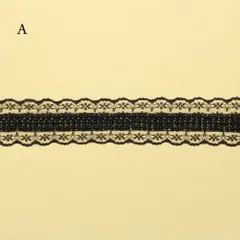 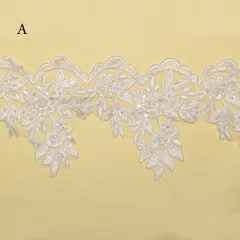 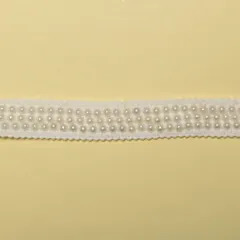 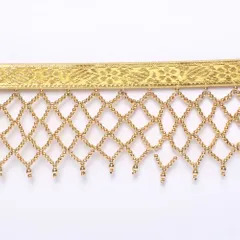 Special Features: Knitted look, Woven style, Fancy ornamentation, Zardozi Zari embellished, Hand worked/Handmade, Designer style, Plastic stick-on fashion, Easy to use etc.